Shari focuses on developing realistic characters and plots that are easy to visualize. NEW RELEASE - LIVE NOW! A romance that will tear at your heartstrings. With a passion for mixing the past with present, Shari brings a dose of fiction and non-fiction together to offer unique plot-driven stories that will make you feel like you’re living in a different place. As some of Shari’s books will leaving you with tears of joy, or heartache, she enjoys lifting the emotional floodgates to offer a dose of humor, relatable to the inner thoughts most can’t discuss out loud. 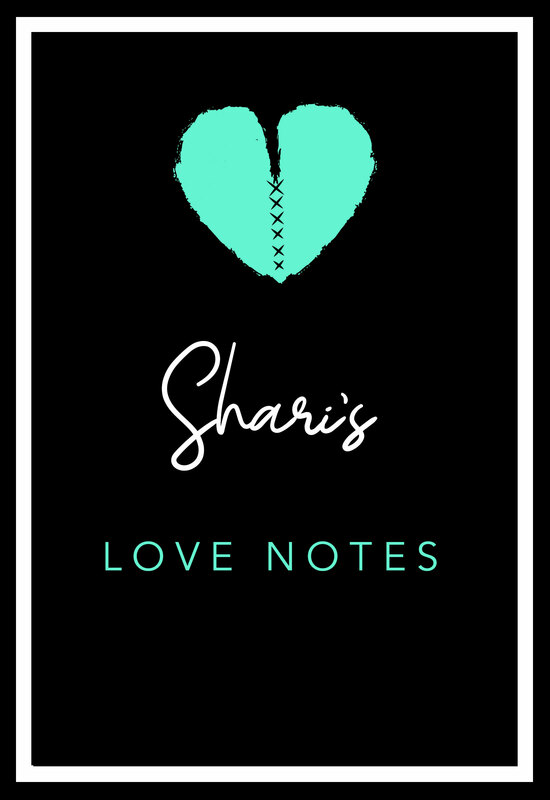 Signup for Shari's Love Notes and book updates, as well as offers! You have successfully signed up to receive Shari's Love Notes. Shari learned early on to write about the biggest fears in life. She enjoys navigating her characters through good times and bad times while leading them down a new path of discovery and happiness. Shari’s style started off with twists and turns, ending with the unexpected. If you like to be hanging off the edge of your seat through each page, don’t miss out on some of the readers’ favorites of her books. Do you want to interact with Shari or join one of her groups, promised to be filled with humor and fun? Looking for a signed copy of one of Shari’s books?